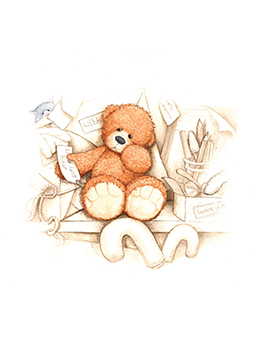 Alice Bear Shop Art Print Little Lost Bear Discounts Apply ! Little Lost Bear Little Lost Bear has an exciting tale to tell about his adventures in the train station's lost property office. This adorable tiny teddy has magnets in his paws so he can cover his eyes when it all gets a bit much for him.